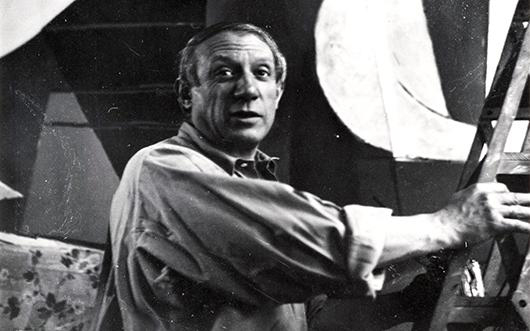 Les Abattoirs, Musée – Frac Occitanie Toulouse presents an exhibition dedicated for the first time to the relationship between Picasso and the Spanish Exodus. Spanning three floors of Les Abattoirs, it explores how the historical and personal upheaval of the Exodus affected Picasso and many other artists of his generation. A contemporary art section, inviting over twenty artists, completes this exhibition at the Abattoirs. The works bear testament to Picas- so’s importance in the message of artistic and individual freedom while others address the theme of exile today. In the context of a series conceived on the scale of the territory, contemporary art exhibitions on the themes of history and exile will also be developed in other Toulouse sites and in the whole Occitanie region, under the title “I’m a native foreigner”. At the initiative of Les Abattoirs, Picasso and the Exodus will follow the Guernicaexhibition presented at the Musée national Picasso in Paris, which it extends with a new section.